How Do Gold, Bitcoin and the US Dollar Stack Up? Rosland Capital recently released an informative infographic which I posted below. 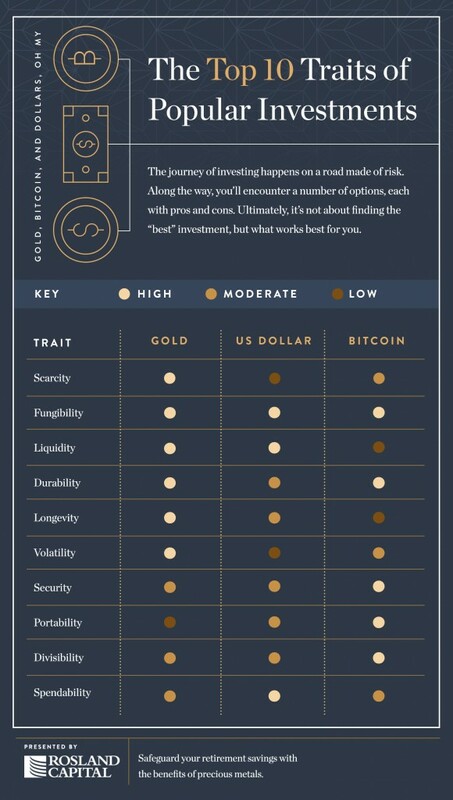 It shows some of the ways that Gold, the US Dollar, and bitcoin compare based on information from their page on precious metals IRAs. Given the big moves in gold and the growing prominence of bitcoin, it makes sense to try and learn get educated about them, especially with the US Presidential coming. Enjoy! This entry was posted in Stock Ideas and tagged stock ideas on October 21, 2016 by Jworthy.